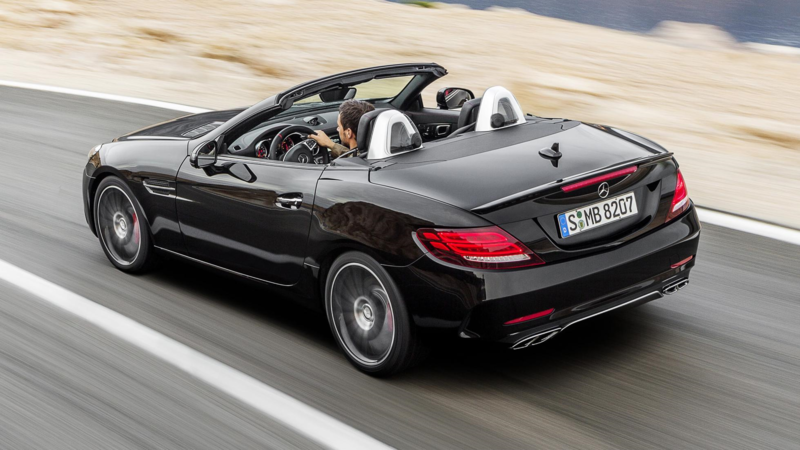 The 2017 Mercedes Benz SLC is the third-generation of the venerable SLK hardtop-convertible with a mid-cycle revamp for the new model year. And yes, there is a name change for 2017 due to major upscale improvements bringing it in line to the C-Class model lineup. Significant changes include C-Class technology with revised infotainment features, as standard Dynamic Select driving, modes allowing a total of “mood modes” from Eco to Sport+), autonomous emergency braking, and automatic trunk separator to ensure the retractable hardtop stores properly. In term of the exterior restyle, the new 2017 SLC looks more imposing, sleeker and longer than previous models. There are the big thrusting hood and cool details such as LED DRLs and tail-lamps, an AMG-inspired front fascia, and a tidy, neat rear profile. The front fender-vents proudly sport the enigmatic “Biturbo” badge to all the curious. The base model remains the SLC 300 powered by a 2.0-litre turbo engine rated at 241 horsepower, while the Mercedes-AMG SLC43 replaces both the previous SLK350 and SLK55 AMG models. We tested the top-of-the-line AMG SLC 43 which packed a mighty 362-horsepower twin-turbo 3.0-litre V6 generating 362 horsepower under the hood and sported some AMG bits and pieces. The twin-turbo V6 matches to a very efficient nine-speed automatic transmission, complete with paddle shifters. 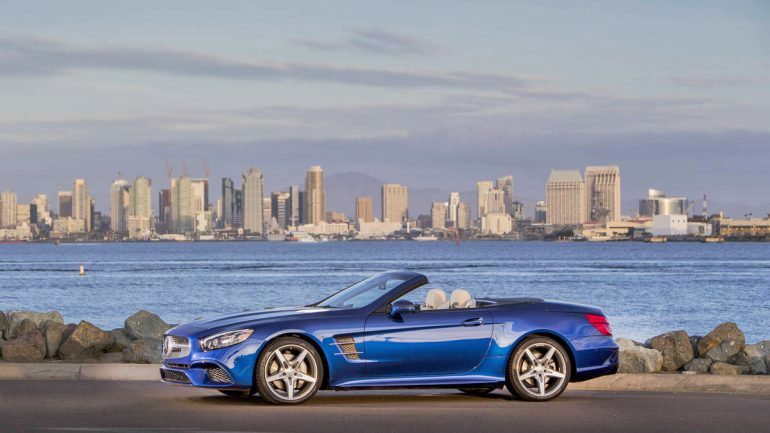 The AMG SLC 43 starts at $70,900 plus options such: Magic Sky Control (a glass roof that lightens or darkens at the touch of a button), illuminated door sill panels, and a combination of interior trim and leather seats. The top line premium package offers such niceties as Apple CarPlay, satellite radio, navigation and a rear-view camera. One new feature is the available automatic trunk separator that automatically senses and moves down when the roof is opened; if there’s not enough space for the roof to retract, it delays the opening and relays a message to the driver in the instrument panel. Regarding the interior design, there is a mid-cycle update, with dark aluminum trim and carbon fiber finish to some panels. The instrument cluster has been redesigned; the two circular instrument surrounds now feature black dials with red needles. Meanwhile, a multifunctional 4.5-inch TFT screen display is also incorporated between the two dials. There is also a new steering-wheel design, and the center console display has increased to seven inches. All in all, it is an exquisite looking, very comfortable somewhat cozy cabin. The SLC’s electro-hydraulic “vario-roof” is wonderfully snug, tight and suitable for year-round driving. 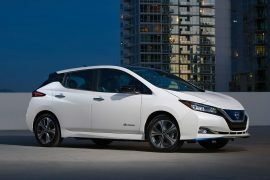 It also retracts on the move – up to a speed of almost 40 km/h. Combined with the optional Mercedes Benz AirScarf, a neck-level heating system for the driver and passenger, it’s a pleasurable open air driving experience in any non-rainy weather. On the road, the SLCs twin-turbo 3.0L V6 produces 367 hp from 5,500-6,000 rpm, and a robust 384 lb-ft of torque from 2,000-4,200 rpm, numbers that are good enough to propel the roadster from 0-100km/h in 4.7 seconds. You can also amp the performance with a choice of driving modes via the Dynamic Select controller’s Sport+, Eco, Comfort, Sport or Individual mode settings that can program the transmission shift and throttle modes for quicker downshifts and more engine response. The SLC 43 Roadster has improved as far as driving dynamics go. 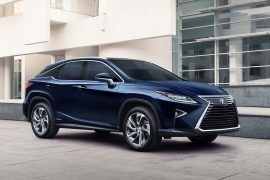 It feels more agile, although it’s a heavier car and the steering has the pleasing heft and watch-like accuracy that allow you to drive the car fast and competently. Some revised suspension tuning work also means the SLC takes corners well with deft point and shoot reflexes and a stable planted stance. The SLC is no super lightweight racer but is still thrilling to drive with an exciting throaty exhaust from the AMG Sport exhaust system that features two adjustable exhaust flaps to tune the exhaust note to the mode selected. The SLC also features a selectable Eco start/stop function, which automatically switches off at traffic lights to reduce fuel consumption. Overall, the 2017 SLC 43 is an excellent all- round, all-year drivable roadster. This is a very entertaining, fast car to drive with the fabulously responsive V6 engine. The AMG magic bits give the SLC 43 AMG a more sporty flavor and a hint of aggression that was missing from previous versions. It is also built as bulletproof as possible with fantastic safety and creature comforts. It is expensive but worth the money for what you get. An excellent car to own and drive. Highly recommended if only the three-pointed star will do. 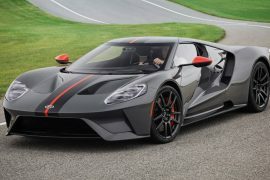 New 2019 Ford GT Carbon Series Attacks Tracks, and then Drives Home!